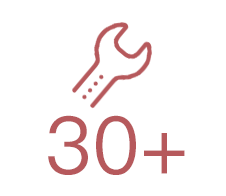 Joyoshare UltFix for Windows is an extraordinary iOS repair specialist that offers option to fix 30+ common iOS issues within 3 simple steps, such as iPhone won't charge, iPhone failed to update, iPhone is disabled connect to iTunes, etc. 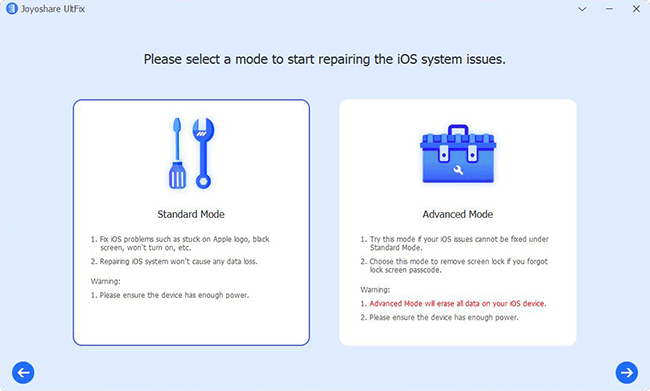 With its help, you are allowed to use 2 modes (Standard Mode & Advanced Mode) to either fix iOS problems without data loss or factory reset iPhone without sparing efforts. Besides, its full compatibility to the latest iOS 12 and a series of iOS devices also makes it a comprehensive tool for Apple users. Inevitably, there will be iOS issues from time to time, which cause great inconvenience to the normal use of iPhone, iPad or iPod touch. However, what grateful is that here Joyoshare UltFix for Windows comes in handy to perfectly repair 30+ iOS system issues, including white Apple logo, black screen, stuck in DFU mode, iPhone keeps restarting, iPhone no service, etc. Importantly, there is no need for you to follow any complicated operations. 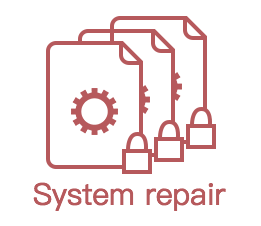 It's considerably simple to complete the whole system repair process in 3 steps. 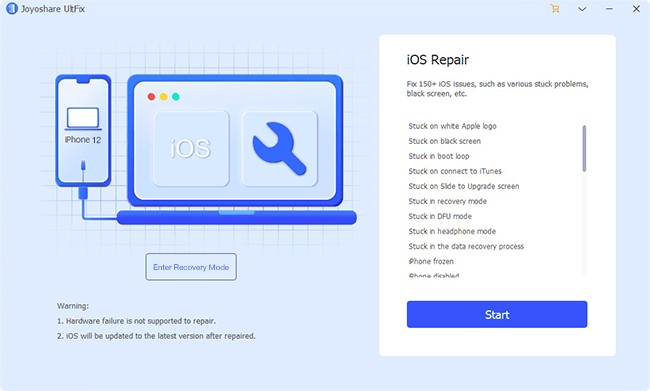 With the help of this hassle-free iOS repair tool, you don't have to worry about the risk of data loss at all. Joyoshare UltFix for Windows is capable of fixing almost all system problems under standard mode without data loss, like iPhone won't turn on, stuck in recovery mode, black screen, etc. Only a few particularly serious system problems, iPhone passcode forgotten involved, have to be repaired under advanced mode, which will restore iDevice to factory settings. 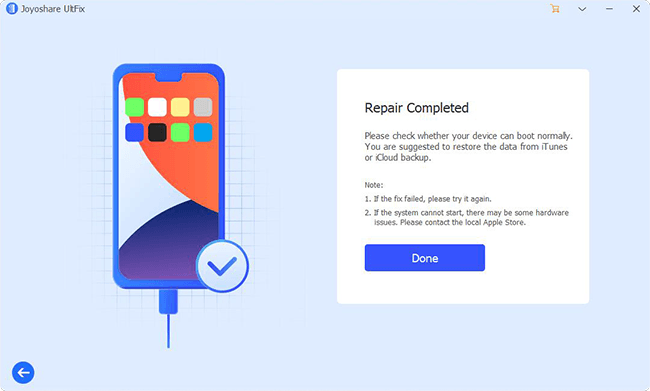 Happily, Joyoshare UltFix iOS System Recovery enables not only registered but also unregistered iOS users to enter and exit the recovery mode for free. With one easy click, Joyoshare can put iPhone or iPad into recovery mode automatically. Likewise, it's fairly straightforward to reboot the stuck iOS device and get it back to normal without step-by-step operation. It to a large extent assists you to bypass iTunes errors and causes no data loss or damage. 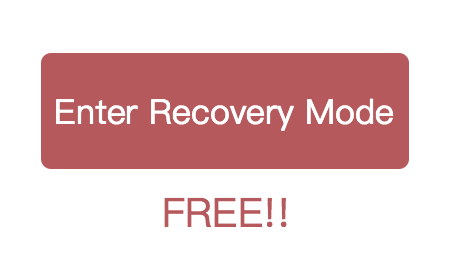 "This program lets me enter or exit the recovery mode at any time I want. It also requires no charge for this option. Anyway, I like it." "Frankly, I'm afraid I'll lose my important data, but this tool helped me fix the system problem and protected my data well. Great! Perfect HEIC to JPG photo conversion tool to convert HEIC to JPG, PNG, and other common formats without quality loss. Simple passcode removal developed to unlock iPhone/iPad screen passcode on Windows in different possible scenarios. Best iOS solution to recover any lost data from iPhone, iPad and iPod touch via iOS device, iTunes and iCloud backup instantly.